STAR TREK: The Original Series first aired in 1966 and left an indelible impact on its adoring audience and continues to inspire technology over 50 years later. Among its fully realized characters, colourful costumes, exciting new worlds and technical marvels, one of elements that has stood the test of time is design of the U.S.S. 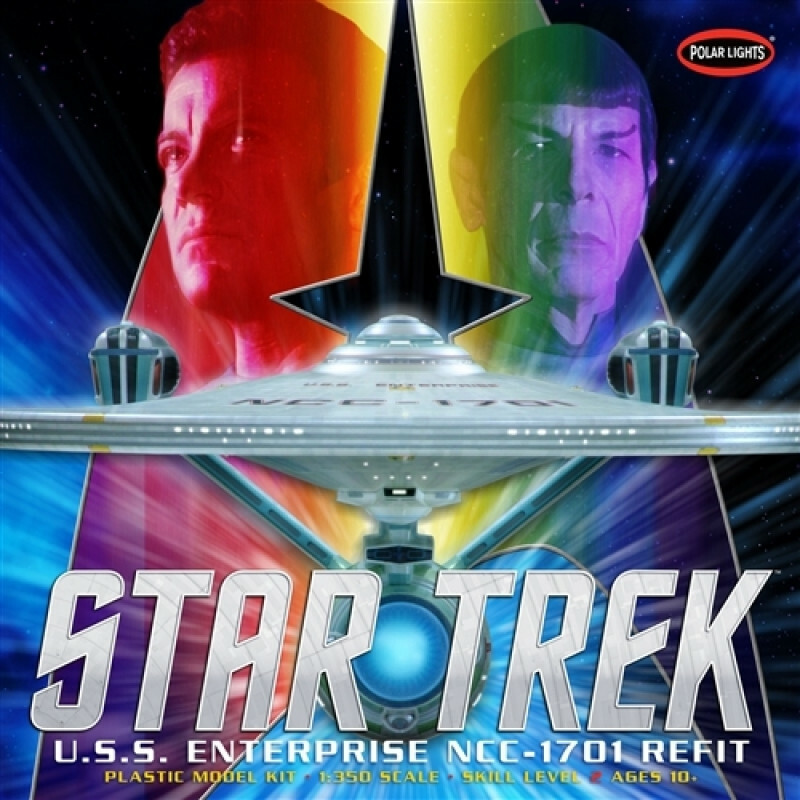 Enterprise NCC1701, the starship at the center of the adventure. Upon return from her 5 year mission, the U.S.S. Enterprise was subject to upgrades and improvement just as any other vessel would. Known as a “Refit”, nearly all of the ship’s systems were overhauled along with swept back pylons upon which all new nacelles were installed. Rather than “battleship” gray, the craft glistened with pearlescent white surface paneling. The popularity of the ship’s design among modelers rivals that of the original space-frame. This model from Polar Lights measures nearly 3-feet long and features interior structures like the shuttle bay and stands firmly upon its base with the support from a metal rod. Marking decals and assembly instructions accompany the kit with everything contained within in an all-new package.